Is there anything more comforting than soup? A good soup or stew is like a hug that you swallow, the perfect thing to bring along to large holiday meals. 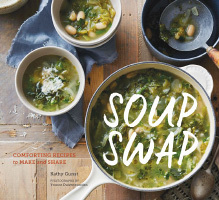 This lovely little book is all about simple, hearty soups that are great for sharing – with portion sizes purposefully designed to give you plenty of leftovers. 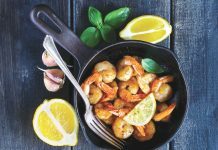 Bittman’s “How to Cook Everything” series have swiftly become the indispensable cookbooks for any kitchen, celebrated for their ease, the breadth of their content and, above all, for having recipes that just work. 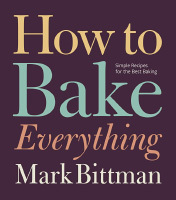 The latest entry, focused on baking, is sure to be a staple in your kitchen, particularly around holiday time. Thanksgiving is about sharing foods, yes, but it’s also about celebrating the recent harvest and, for Americans, the parochial Northeastern history of their nation. 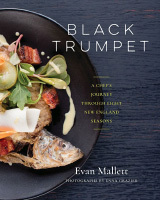 This lovely cookbook from a celebrated chef in New Hampshire ties all of that together, emphasizing seasonal food rooted in place, but with a brilliant cosmopolitan twist – lobster and kelp tamales anyone? 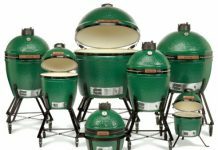 The holidays are about family, togetherness, and giving thanks. The holidays are also about eating as much butter as you thought humanly possible (or more). From celebrated food writer and founding editor of Culture magazine, Elaine Khosrova, this book features a selection of essential recipes to up your butter game, as well as handy tips for making various butters at home – no churn necessary. You may be unrivalled when it comes to gently braised pork loin or goose with three other birds crammed inside of it, but if your appetizer is a brick of velveeta you may as well give up. 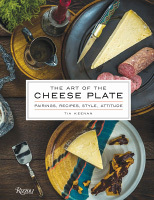 This holiday necessity is the new definitive guide to the cheese plate: a course so often attempted, so rarely mastered. 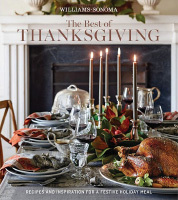 What do people love about Thanksgiving and all holiday gatherings? They love the memories; they love the comfort. They don’t necessarily love trying new foods they can’t pronounce. Why mess around? 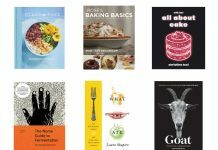 Here’s Williams-Sonoma to the rescue with a cookbook so traditional your grandmother will think they’ve stolen her recipe box.